Transition metal and nitrogen co-doped carbon (M-N/C) catalysts are recognized as the most prospective alternatives for platinum-based electro-catalysts towards oxygen reduction reaction (ORR) in polymer electrolyte fuel cells. Recently, significant progress has been achieved in the identification and regulation of active sites of this kind of catalysts. 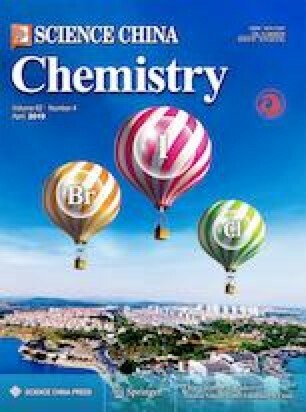 In this mini review, we summarize the techniques and strategies to identify active sites in M-N/C catalysts, the main debates on active sites types, the measurement method for active site density, the reactivity descriptors for M-N/C catalysts, and directions to the design of ORR M-N/C catalysts. This work was supported by National Science and Technology Major Project (2017YFB0102900), the National Natural Science Foundation of China (21633008, 21433003, U1601211, 21733004), Jilin Province Science and Technology Development Program (20150101066JC, 20160622037JC, 20170203003SF, 20170520150JH), Hundred Talents Program of Chinese Academy of Sciences and the Recruitment Program of Foreign Experts (WQ20122200077).